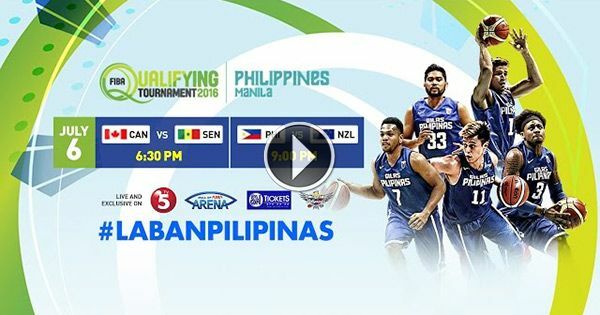 Watch the live stream of Philippines' Gilas Pilipinas vs New Zealand in the FIBA Olympic Qualifying Tournament on Wednesday night, July 6. It's a do-or-die game for the national men's basketball team lead by Andray Blatche, Terrence Romeo and Jayson Castro. It's a must that they win this game or it's all over, although many think that this is a winnable one. New Zealand has a high-scoring guard, Corey Webster, and EuroLeague player Isaac Fotu in its roster and the Filipino squad should watch out for their starting line-up. Will Gilas Pilipinas win this game against New Zealand after losing to powerhouse France last night? Watch the live stream to find out.